We've established pretty clearly that the ocean is a prime source of all things strange and weird. But few things stand out quite like the cuttlefish. 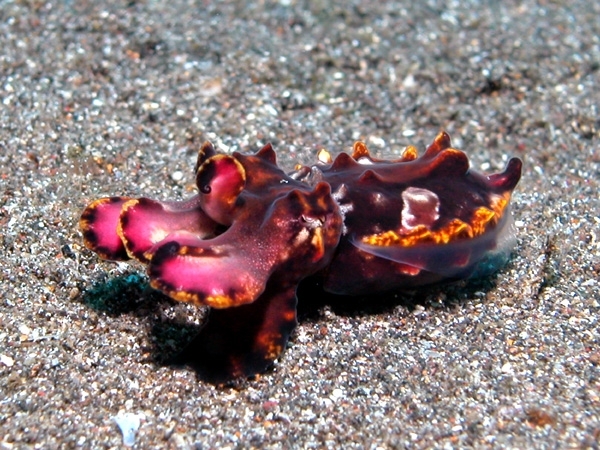 And not just the species which look like Cthulhu's head had an adorable baby - this is Metasepia pfefferi, the flamboyant cuttlefish, one of the most wonderfully colorful sea creatures you'll ever meet. 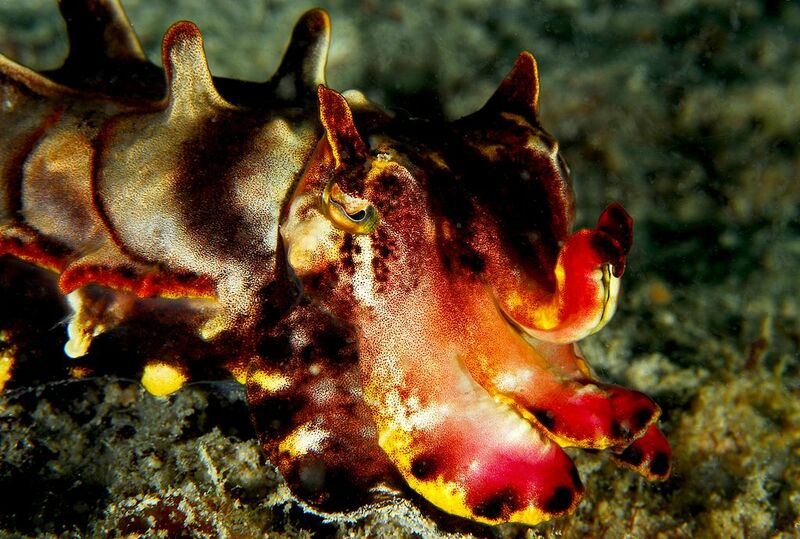 The flamboyant cuttlefish lives in waters off of Northern Australia, southern New Guinea, and various islands around the Philippines, Indonesia, and Malaysia. If you're familiar with cuttlefish you'll know other species can change colors remarkably fast to blend in with their surroundings. 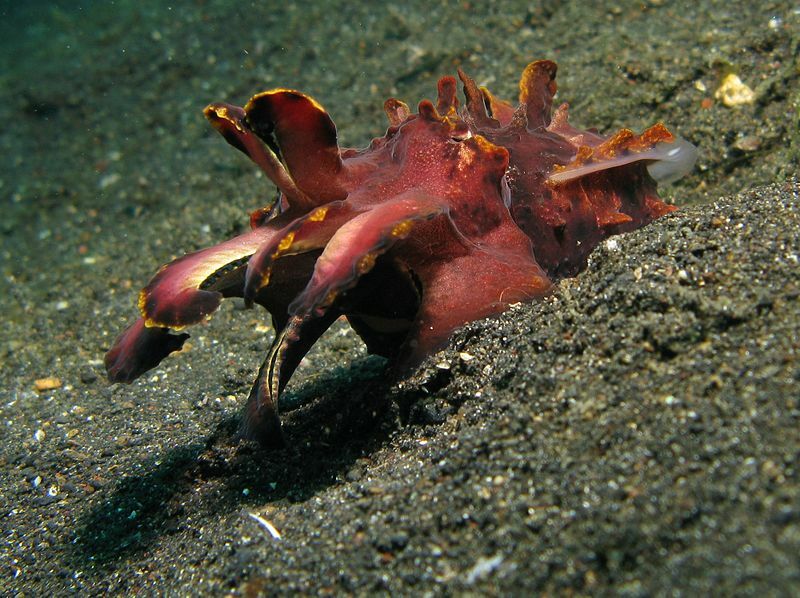 But the flamboyant cuttlefish has none of that, sticking with striking colors that get the attention of underwater neighbors. Why have such attractive colors? The same reason as some colorful species of frog: flamboyant colorfish are ridiculously poisonous. 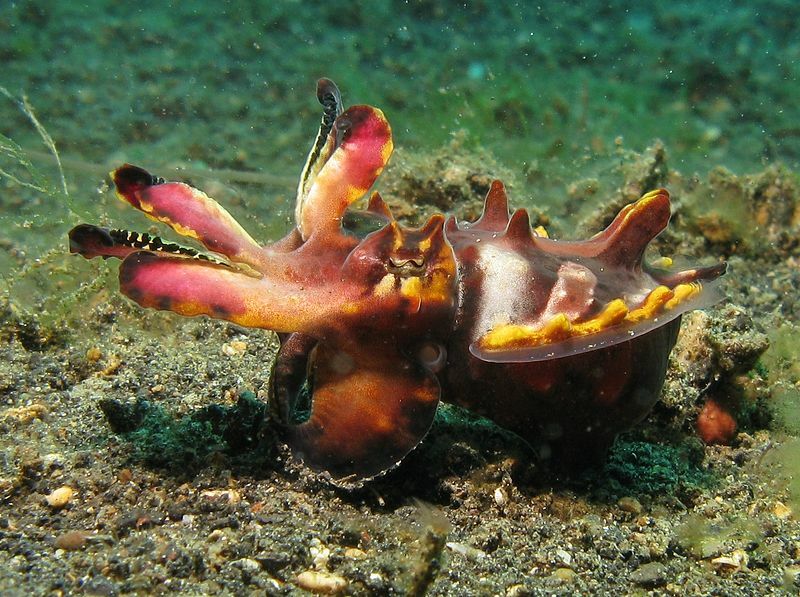 Biting into one will unleash a comparable toxin to the blue-ringed octopus, which is lethal even to humans. For that reason you'll never see it on any seafood restaurant menu, although some are kept in public and private aquariums.